There are already wanting to know what Apple is preparing us for this autumn. One of the biggest bets of the Internet is the appearance of the first model would be the most professional company tablet, the iPad Pro, which would have a large screen, 12.9 inches, and a stylus with which can work comfortably as if we were using a pen and paper, as we have seen in tablets of competition, especially in Samsung. What we do will surely be the presentation of the most desired by users, the iPhone 6S (also is thinking of calling it iPhone 7, for the progress it would bring) new smartphone model, and with him two different models, the 4.7 and 5.5 inches. But if we spin thinner, Apple would have been thinking of developing, as it did with the 5S, a model of 4 inches and manufactured with lower quality or price, whatever you want to say, and that would be the iPhone 6c. Information and recent data say that this year might not be presented or launched the "economic" model of mobile phone with the most advanced operating system in the world. Apple's reasons for not doing so and not repeat the same play as you did before, it would be that could cannibalize sales of older siblings. 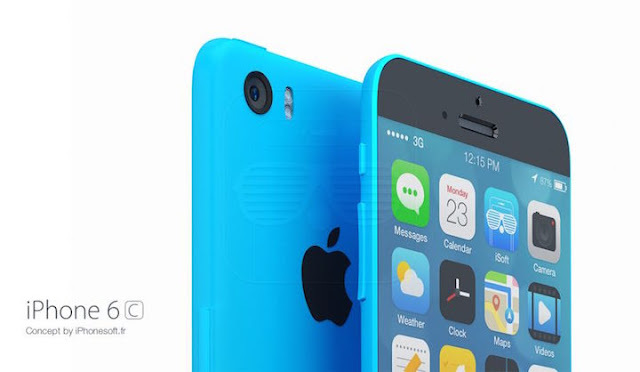 Anyway, if we pull news from previous years, we will see how the iPhone 5c was a failure, and the people chose the one with the fingerprint sensor and not by the striking colors with cases that it revealed the cover of the phone . According to the predictions of Ming-Chi Kuo, predicted in April that there would be launched this year a smartphone with similar characteristics to 5c at this time, but if I did that possibly in the future, and have been working on it since January until March, when they finally decided not to proceed with the project. Maybe Apple is reserving some gases in the sleeve. We said in GreenPois0n that surely there would be iPad Air 3 this year and would be delayed until 2016, so as not to compete with the iPad Mini fourth generation (that would be the last to bring a 7.9-inch screen) and iPad Pro.